In today's business climate, accepting credit and debit card payments is a must for most businesses. 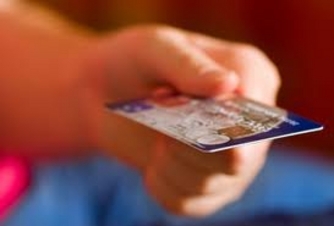 Studies show that businesses that accept credit cards can see a huge increase in volume. Customers like the speed, flexibility and convenience of electronic payments, and many prefer to use their cards to earn reward points or miles. Card holders buy more on impulse and typically spend more than if they had to use cash. Give your customers the convenience of paying with their preferred card. Accepting cards has a huge positive effect on cash flow. Your business will benefit by having the money from credit card sales deposited into your bank account within 48 hours or less. No more waiting for checks to clear or sending out time consuming invoices, waiting for payment. With credit and debit cards, you receive your money from your customers quickly and easily. We deliver fast electronic transaction processing solutions that enable you to serve your customers quickly and streamline the check out process. Creating an enjoyable shopping experience for your customers increases the chance that they will return to your store and recommend your shop to family and friends.